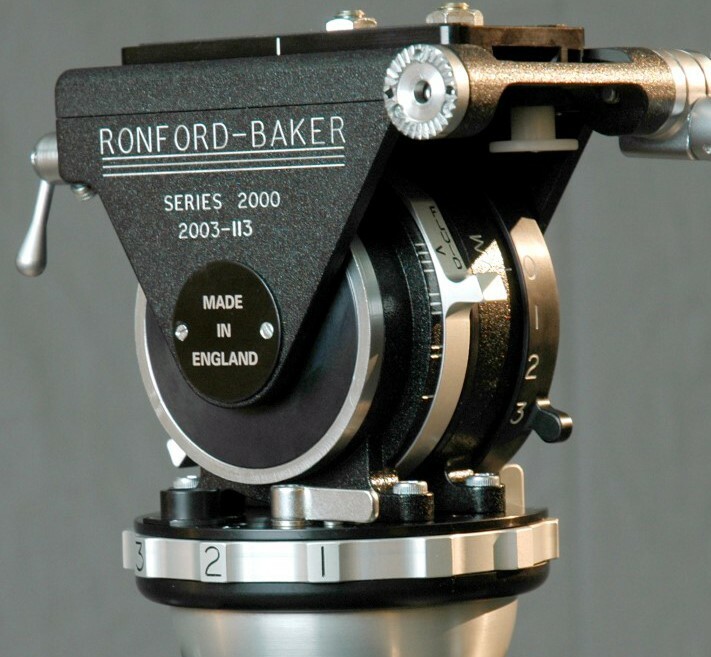 Incorporates the will proven Ronford-Baker fluid system operated by a single fluid system control lever with four progressive positions both pan and tilt. The tilt operation is backed up by a balance control system with an “off” position and three progressive settings operated by a single control lever, giving an unprecedented smoothness and accuracy of control and balance under all situations. +150ºF to -40ºF (+60ºC to -40ºC). Engineered for quality, strength and durability. Quick release camera plate adjustable for balance with built in safety stops and scale. Smooth positive braking on pan and tilt.